You’re probably familiar with the color-changing Hue lights that screw into your existing lamps and light fixtures, but for truly dramatic lighting effects, you’ll want to pick up a few Hue Bloom accent lights as well. These fully-integrated light fixtures sit on the floor or on an end table and point towards the wall, allowing them to “paint” an entire side of a room in the color of your choice. 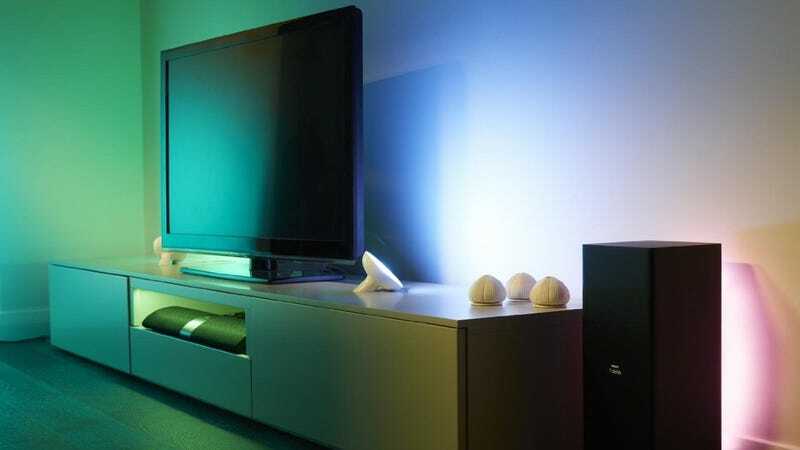 $35 is a match for the best price we’ve ever seen on these (as long as you don’t mind buying a refurb), so if you’re already invested in the Hue ecosystem, you should absolutely pick up at least one.